Plans for a retirement caravan park on the former United Carpets site in Mexborough have been submitted. The vacant 1.9 hectare site at Station Road, which straddles the Doncaster and Rotherham boundary, has had a recent history of stalled developments. Outline planning application to develop 92 residential units and 1,065 sq m of commercial floorspace were approved in 2010 but never developed. A planned £10m pound supermarket and petrol station was reported to have been axed as developers, Kier Property could not secure an supermarket operator to occupy the site. Rotherham-based retailer, United Carpets, has now submitted plans for the change of use of unused land adjacent to Mexborough town centre and train station to form a residential park home (caravan) site. The site was used by United Carpets for its retail warehouse and ancillary offices. The buildings on the site have been demolished and the site is in the process of being cleared. The plans, drawn up by Montgomery Forgan Associates, state that: "We understand that neither the proposed residential or superstore proposals were considered economically viable for the site and locality, and these proposals have now been abandoned." 56 park homes are proposed to create "a high quality retirement park home site," along with an associated internal access road, car parking, garages and open space. Varying in size from 12 ft x 30 ft to 20 ft x 50 ft, the homes will typically have two bedrooms (including en-suite), study and a lounge, dining area and kitchen. Applicants say that the owners/occupiers of the park homes will be those nearing retirement or who are already retired. 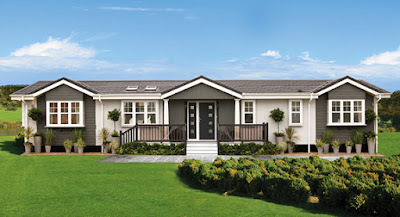 The plans explain that: "Park homes are particularly attractive to this [over 50] age group, as by selling their more expensive houses and moving to a more affordable park home, equity in the house can be converted to a retirement/pension fund. This in turn means that there is less reliance on the Government and Council for financial support in retirement and housing stock is being released for younger house buyers." Reusing brownfield land, applicants believe that the redevelopment would also enhance the setting of the Grade II listed railway station and assist in the wider regeneration objectives for the Mexborough area. Based at Bramley, United Carpets is the second largest chain of specialist retail carpet and floor covering stores in the UK. It has recently moved its Rotherham store to Great Eastern Way retail park at Parkgate after 30 years at nearby Gateway Industrial Estate.